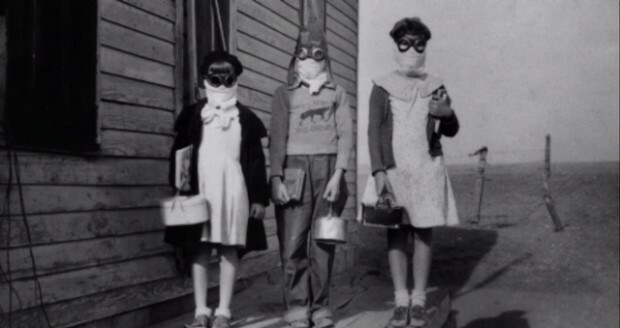 Last night I saw the first episode of Ken Burns' new documentary on the Dust Bowl. Some parts of it were eerily similar to things that happen now. Banks foreclosed on houses, fathers and husbands committed suicide -- unable to earn a living, buy food, and unsure of what to do about it all. 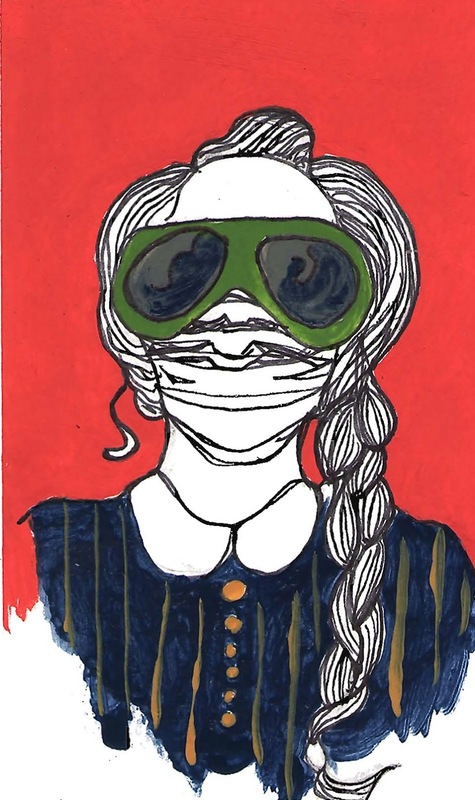 I was fascinated by pictures shown of children wearing masks and goggles just so they could leave the house and go to school and still be able to breathe. I hadn't done my drawing for the day yet, so I drew this quick sketch of myself in Dust Bowl gear. I imagine this is how I would look, and my only identifying feature would be my braid. Adoro i manifesti Pubblicitari in 3D per una Comunicazione Innovativa. Chiedi Info! Assistenza Tecnica · Qualità Professionale · Primi in Italia · Alta Velocità Tipi: Manifesti e Poster 3D, Locandine 3D, Espositori 3D, stampante 3d e Scenografie 3D, Render 3D. La tecnologia di stampa 3d permette modelli in pla e abs e molti altri materiali. Anche i droni li adoro, i droni professionali sono perfetti per le ispezioni e la termografia con drone. Best drones gimbal.